$600 (1969) . . . The 7A16 Wideband Plug-In Amplifier has calibrated deflection factors from 5 mV/div to 5 V/div. 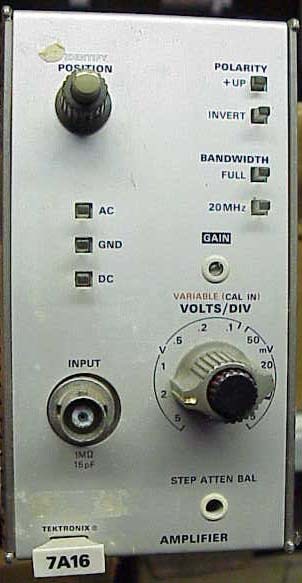 The bandwidth is determined by the oscilloscope in which it is used. Operates with a Tektronix 7000-Series Oscilloscope and a 7B-Series time base unit.